By the time you are reading this, Sweets and I will be on our way to Washington DC to participate in JDRF's Children's Congress! We are so excited and honored to be attending this very important event! We do not take this opportunity lightly. 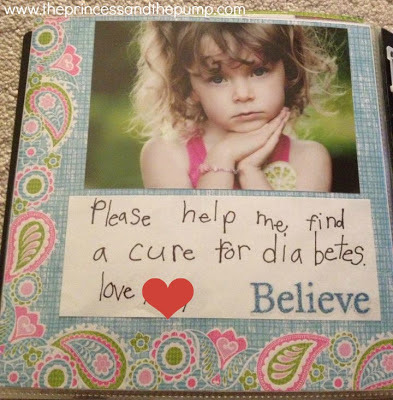 We know that we are representing the millions of people living with diabetes and we promise do you proud as we advocate for the renewal of the SDP and continued diabetes research and funding. I will be tweeting/instagraming/facebooking as much as possible throughout the three day event. So please keep up with us there! We have a very full schedule! Activities will include state delegation photos, a town hall meeting with T1 celebrities, singing the Promise song with Crystal Bowersox, training for our visits to Capital Hill and going to Capital Hill to meet with Members of Congress. And that's just SOME of what we will be doing!! To prepare for this event, we have done lots of different things! We made a scrapbook to give to our Representative and Senators about living with Type 1 Diabetes. 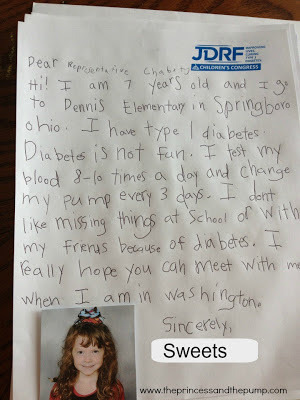 Sweets also wrote letters to our Representative and Senators. She made a video about living with T1! And you can read her profile here! Click HERE to read about this year's T1 Celebrities! 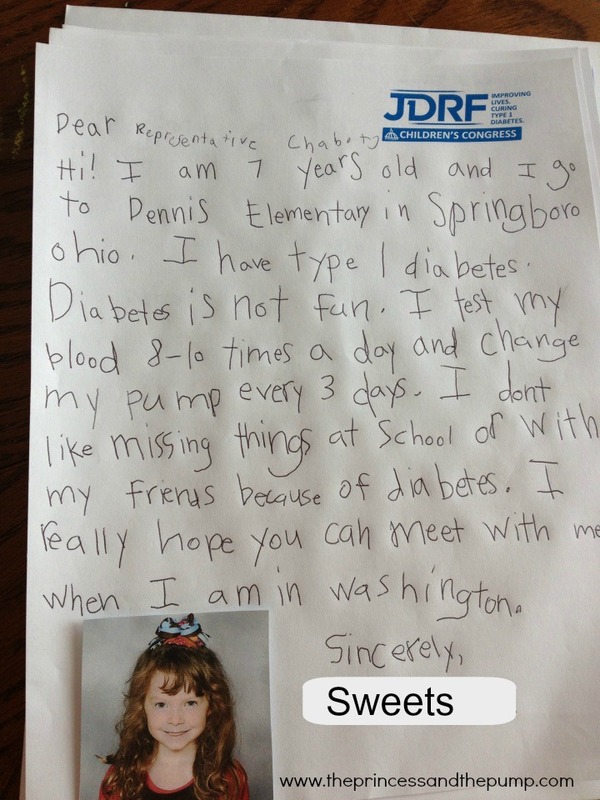 Click HERE to learn how you can get involved with JDRF Advocacy. Loved seeing her on the news this week! So proud of you guys!!! GREAT JOB & THANKS FOR REPRESENTING!